BRYAN EATON/Staff photo. 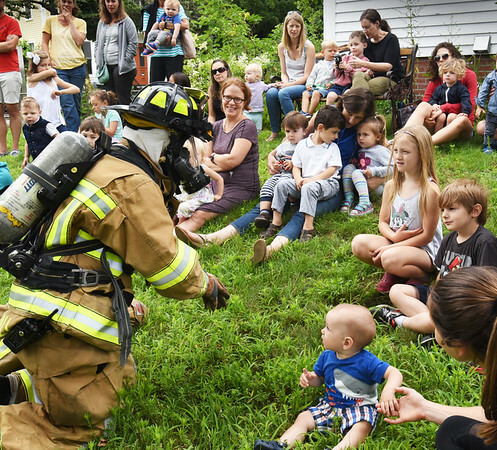 The Emma Andrews Library and Community Center hosted a children's safety program led by a crew from the Newburyport Fire Department on Thursday morning. Firefighter Wendy Kimball got into full gear to show what equipment they use, though a few of the younger audience members were't sure what to make of it.